They have a huge chance to create some history as of now. Leicester City is first on the table with 66 points in the 31 games played. They are four points above Tottenham whereas Southampton is seventh on the table with 47 points in the 31 games played so far, three points below Manchester United and above on goal difference from Stoke City. 03rd April 2016 at 18:00 (IST). Leicester City are on the brink of creating history, and they would make the top clubs of the Barclays Premier league look like a joke if they win the title which is almost done for them as there are only seven games remaining, and they are sitting at the top firmly with a four-point gap. They have won 19 games, drew nine and lost just three in the league this season, have scored 54 and conceded 31 goals in the league. These stats prove their worth and the way they played out their season. Some names will come up if they win the title with the likes of Jamie Vardy, Riyad Mahrez, Kante, etc. but everyone should remember that football is a team sport, and every member contributes. In the last five games in the league they have won four and drew one, they won against Norwich City at home by 1-0, against Watford by 0-1 away, against Newcastle United by 1-0 at home and Crystal Palace by 0-1 away and drew against West Bromwich Albion by 2-2. 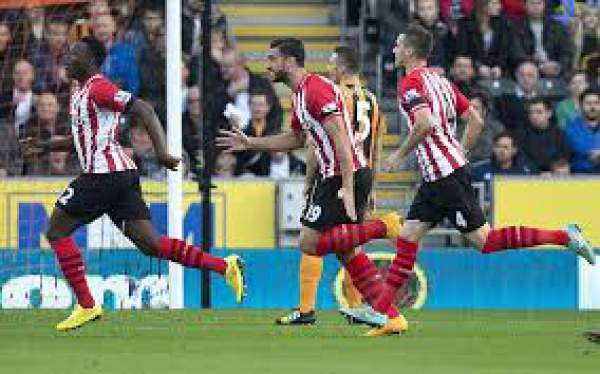 Talking about Southampton, they are still fighting their best to get in the top five, and they are not that close, but they are getting an excellent competition from other teams as well. They have won 13 games, drew eight and lost 10 in the Premier League this season. Their form in the last five games in the league is average as they have won two, drew one and lost two, they won against Stoke City by 1-2 away and against Liverpool by 3-2 at home, drew against Sunderland by 1-1 and lost to Chelsea by 1-2 at home and against Bournemouth by 2-0 away. Schmeichel, Simpson, Morgan, Huth, Fuchs, Mahrez, Kante, Drinkwater, Albrighton, Okazaki, Vardy. Forster, Martina, Van Dijk, Bertrand, Davis, Romeu, Clasie, Tadic, Pelle, Long. Stay tuned to The Reporter Times for commentary, scorecard, match result, and latest Football news and updates. Don’t forget to share.